High strength epoxy adhesives are commonly used to seal, bond, and reestablish the strength and integrity of the distressed member. 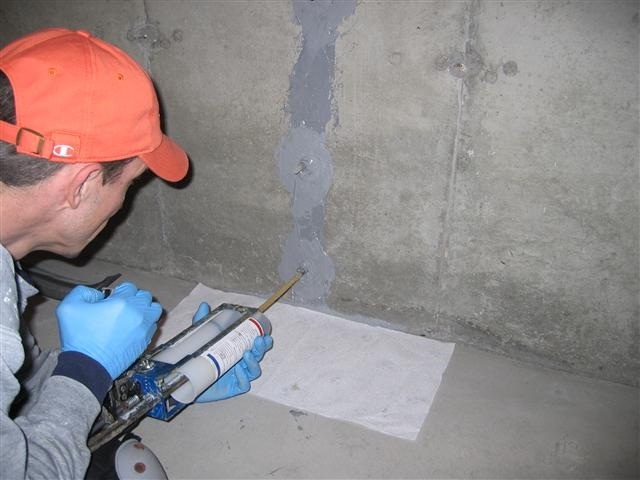 Epoxy injection has been successfully used in the repair of cracks in buildings, bridges, dams, and other types of concrete structures. However, unless the crack is dormant (or the cause of cracking is removed, thereby making the crack dormant), it will probably recur, possibly somewhere else in the structure. If the crack is active and it is desired to seal it while allowing continued movement at that location, a sealant or other material that allows that crack to function as a joint must be used. Application of this method may also be limited by the ambient temperature. In the specific case of delaminated bridge decks, epoxy injection can be an effective intermediate-term repair method. In this case, steps a, b, and f (steps in upcoming article i.e., post) outlined below are omitted. 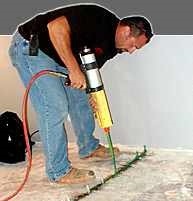 The process is terminated at a specific location when epoxy exits from the crack at some distance from the injection ports. This method does not arrest ongoing corrosion.